Home / STORE / Halloween. / Batty Bats. Batty Bats are Batty! They have lots of fun flying around especially on Halloween! 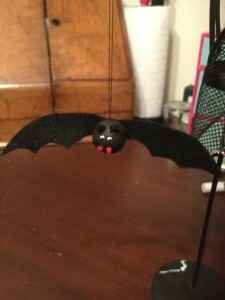 They have a wooden body with felted wings and are able to fly around as they hang on fine thread.